Die DEUTSCHE Version des FAQs gibt es HIER . This FAQ was created in order to reduce unnecessary and superfluous topics in the forums. Please read the FAQ closely and make sure to use the search function BEFORE creating any new threads. Stargate - Empire at War: Pegasus Chronicles will hereafter be referred to as 'TPC' unless otherwise specified. 1.1. When will the next news be published? 1.2. Pirated versions of EaW and FoC? 1.3. Where can I find the search function? 1.4. What is a mod? 1.5. The FAQ can't answer my questions. 2.2. What are the system requirements of TPC? 2.3. Can I play "The Pegasus Chronicles" without the addon "Forces of Corruption"? 2.4. In what languages will TPC be available in? 2.5. Where can I find more information about TPC? 2.6. I have a great suggestion for you! 2.8. I'd like to use parts of your mod (aka Disclaimer). 2.9. When will the full mod be released? 3.1. Where can I download TPC? 3.2. How do I install TPC? 3.3. How can I run TPC? 3.4. When I run the game it's a mixture of Star Wars and Stargate. 3.5. Nothing happens when I try to run the mod. 3.6. I want to run the basic Empire at War but the Stargate mod still starts. 3.7. Ingame the Stargate is green! Why? 3.10. When I run the mod I get [MISSING] everywhere! 3.11. TPC crashes when I try to run it! 4.1. What is a "Modlauncher"? 4.2. How does a Modlauncher work? 4.3. I can't download updates with the Modlauncher. 4.4. When I try to run the launcher it crashes. 4.5. Is there a possibility to install the mod without using the launcher? 4.6. How can I let the launcher generate an errorlog? 5.1. I can't play the Galactic Conquest (GC). Why not? 5.2. When I play a ground battle all units are from Star Wars. Why? 5.3. Will you publish more content (such as GCs, map, ...) for TPC? 5.4. Will the Destiny appear in TPC? 5.5. I can't build the ship (Sol) that was seen in the release trailer! 5.6. Where can I build Atlantis? 5.7. Where can I build ships like the Aurora? Which ships are also available and where can I build them? 5.8. The AI doesn't work! 6.1. The game freezes when I hit "multiplayer". 6.2. When I try to join a game it says "Version mismatch". 6.3. When playing online the game often crashes with a "Synchronization Error". 6.4. How many people can play an online match? 6.5. I can't see other people in the multiplayer lobby! As long as there is enough to report and the tasks are done as scheduled there will be a news post every month. However, if there aren't any news this doesn't mean The Pegasus Chronicles has ceased development. We'll decide by ourselves if we want to release news or not. An original copy of the basic game is needed for all SGMG projects to run properly. We do not support any pirated copies. Use this link: Advanced Search . "Mod" is a short term for "Modification". In relation to computer games a mod is a usually free expansion/transformation from hobby developers of a released computer game. "Our" mod is called "The Pegasus Chronicles", generally abbreviated with "TPC". In our case we talk about a "Total Conversion"; meaning that nearly all aspects of the original game have been changed and that all units have been replaced by new ones. The original game is required to run a mod. If you have further questions about the mod you can simply ask them here in our forum. We (the developers) and a helpful community will most likely find a solution for your problem. Alternatively, you can use the Private Message function on ModDB to contact the team. "Stargate - Empire at War: Pegasus Chronicles" is a total conversion of the popular "Star Wars Empire at War: Forces of Corruption". The requirements for TPC are slightly higher than the ones from Forces of Corruption (which can be found here ). Because of the high number of extensive models and effects there can be a loss of performance but if Forces of Corruption runs fluently you should be able to run TPC fine - even though you might need to reduce your graphic settings. 2.3. Can I play "The Pegasus Chronicles" without the add-on "Forces of Corruption"? The mod is available in English and German which affects texts and audio output. You can choose your preferred language during the setup. There are some (incomplete) translations of other languages available but this is text only (no sound). The most important contact point is this forum: www.stargate-eaw.de/ . Then the " Mod Information and Discussion " forum is the right place to post. You can find the team currently working on TPC here . Finally, we want to thank all those who weren't explicitly mentioned here, but who were nevertheless aiding this project's realization in some way or another. 2.8. I'd like to use parts of your mod. "Stargate: Empire at war - The Pegasus Chronicles" is a non-commercial modification of "Star Wars Empire at War: Forces of Corruption" and does not make use of any other content other than the one of the "Stargate Modding Group"(SGMG). The material used in this mod MUST NEITHER BE REIMPORTED, nor REDEVELOPED, nor USED IN ANY OTHER WAY. The rights concerning models, textures, designs and other material are subject to the regulations of their respective owners or creators. If you want to use parts of our mod contact contact any staff member via pm. TPC was released on December 16th, 2012 as Space Skirmish Only version. The mod is being developed constantly and updated via the modlauncher. Over time new content will become available. We cannot give you any estimated date or even rough approximation when the GC and the ground part will be done. We are not being paid for this, we are doing this in our free time. Please be patient - any news regarding release dates will be posted in the news section here and on Moddb. The mod can be downloaded from our Download Area or from ModDB . Everything you need for the installation of TPC is the Launcher which will automatically download and install the mod for you. If you have trouble with the launcher you can also install the mod manually. For this case this instruction book should provide you with all necessary information. Proceed with the patches accordingly. Note that you have to install one patch after another, you cannot simply skip from version 1.0 to the latest patch. You can run the mod with the enclosed Modlauncher. For further information see "4. Questions about the Modlauncher". Alternatively you can run the mod by clicking on the Stargate.bat in your installation directory. 3.4. When I run the game it's a mixture out of Star Wars- and Stargate. The mod has been installed incorrectly. Take a look in the main directory from Empire at War, open the Mods folder and search for a folder named "Stargate". If you don't have a "Stargate" folder there you did something wrong. Check "3.2. How do I install TPC?". Most likely your game is out-of-date or the mod has been installed incorrectly. Run the launcher to search for possible issues: Click on Settings and run the Compatibility Check. It will search your system for potential problems and offer the respective solutions. See "3.4. When I run the game it's a mixture out of Star Wars- and Stargate.". If you run the map editor after the mod has been installed sometimes shaders that our mod requires can be deleted. You can find them in ...\Mods\Stargate\Data\Art\Shaders. Copy the Shaders folder from the mentioned path to ...\Star Wars Empire at War Forces of Corruption\Data\Art\Shaders. It is possible that you have to redo this procedure every time after using the map editor. Furthermore it is known that ATI graphic cards can cause problems with our shaders. Maybe an update of your graphics card's driver can solve this problem. TPC does work with the Steam version of Forces of Corruption. The installer should automatically install the mod into the correct directory: ...\Steam\steamapps\common\s­tar wars empire at war\corruption\Mods\Stargate. Check "steam version" in the launcher options if you're using it. If the launcher should ahve trouble to run the mod, go in your game library in Steam and right-click on Star Wars Empire at War Forces of Corruption. Select Properties and add "swfoc MODPATH=Mods\Stargate" (without quotes) in launch options. Now the mod should start instead of the normal game if you double click on Star Wars Empire at War Forces of Corruption. If you have version missmatches with players that don't use the Steam version take a look at chapter 6.2.7. Sadly the (outdated) Installer crashes for many people, after the Installation. THE MOD IS STILL INSTALLED! Only the Launcher and the Batch File are not installed. If this is the case for you, download this Batch file and put it into your main Forces of Corruption folder and start it to play the mod. To install the mod we recommend to use the launcher instead. This should only happen when you have installed Forces of Corruption in another language than German or English. If that's the case you have to rename the file "MasterTextFile_English.dat" to the language you have chosen during the installation of the main game. To do so, navigate to ...\Star Wars Empire at War Forces of Corruption\Mods\Stargate\Data\Text and rename the file according to your language; for example: MasterTextFile_DUTCH.dat or MasterTextFile_FRENCH.dat or MasterTextFile_ITALIAN.dat or MasterTextFile_POLISH.dat or MasterTextFile_RUSSIAN.dat or MasterTextFile_SERBIAN.dat oder MasterTextFile_SPANISH.dat or MasterTextFile_SWEDISH.dat or MasterTextFile_UKRAINIAN.dat. See chapter "3.5. Nothing happens when I try to run the mod". Our Modlauncher is a program used to install and run the mod and to keep it up to date. After TPC has been installed you can open the Modlauncher with the shortcut on your Desktop or your main menu or alternatively in your installation directory: ...\LucasArts\Star Wars Empire at War Forces of Corruption\SGTPCLauncher.exe. Simply click on the Start button to run the mod. By clicking on Update the launcher will search the internet for a new version of the mmod and download it automatically. Open the Settings tab to can change the language of the launcher, (de)activate the automatic update, contact the support and take a look at the mods' changelog in case of an update. Furthermore you can reset the mod here in case something went wrong during the update. The launcher can be downloaded in our download area or from ModDB . 4.3. I can't download updates with the Mod launcher. The Mod launcher needs to be run as an administrator ( right click -> Run as Administrator ) in order to download updates. Make sure that you have the necessary admin rights. 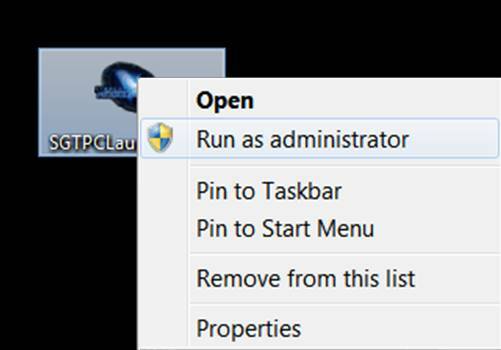 - Run the launcher with administrator privileges ( right click -> Run as Administrator ). - Aggressive anti-virus software may compromise the functionality of the launcher. Set an exclusion or disable it for the time the launcher is being used. - Make sure to run Forces of Corruption at least once on your current system otherwise it is possible that you're lacking necessary entries in your registry. - If the problem persits send us the content of the log.txt file so we're able to identify the issue. Take a look at chapter "4.6. How can I let the launcher generate an errorlog?" for further information. Yes. See chapter "3.2. How do I install TPC?". Run the launcher and click on Settings. Select the Advanced tab and check generate errorlog. After that, repeat the steps that cause your problem. In the same folder the launcher is in you'll now find a file named "log.txt": Open it and send us its content. Click on "OK" and then on the shortcut itself. Afterwards look for the log.txt file as described above. The currently released version of TPC is a space-only version, meaning that you can only play skirmish and only in space. However, the mod is being developed constantly and updated via the modlauncher. Over time new content will become available. Take a look at "5.1. I can't play the Galactic Conquest (GC). Why not?". Yes.Over time new content such as GCs, ground units, maps, etc. will be available via the Modlauncher. The Modlauncher will check for updates every time you run it if auto-update is enabled. If not, simply hit the Update button to check for new content. For now there are no concrete plans to add content from Stargate Universe. The Sol is not a standard ship for the Tau'ri. To build it you have to capture a Supergate and dial the Milky Way galaxy. Once you have reached Techlevel 4 the Sol will become available. Nowhere. Atlantis will be available in a later release in some of the GCs but you can NOT build it in the current Space Skirmish release version. First, make sure that FoC is patched to the latest version (see FAQ section 3.5). If that's already the case there is most likely another mod conflicting with ours. If you have installed AotR 2.5 go to "Foc\Data\Xml\Ai" and rename the folder "PERCEPTUALEQUATIONS". In some cases it may also help if you rename or delete the folder "GoalFunctions" in "...Star Wars Empire at War Forces of Corruption\Mods\Stargate\Data\Xml\AI". Other than that you can try to rename the complete AI folder. If nothing of the suggested helped, uninstall FOC, manually delete the FoC folder and a reinstall in order to solve this problem. If the AI is working but seems to act very weak try different maps. There can be huge differences in terms of difficulty depending on the map. For example, the AI seems to be pretty weak on maps like "The Loop of Kon Garat" but it should give you a pretty hard time on maps such as "Doranda". Unfortunately the multiplayer servers from Empire at War were shut down a while ago - direktly playing online is not possible anymore. However, it is still possible to play online by using a network emulation software. The launcher allows you to easily access Tunngle for comfortable online playing. To do so, simply click on the respective tab in the launcher's settings menu. This error can be caused by many reasons. The simplest possibility to find those reasons is to run the Online Compatibility Check of the Launcher. It checks your installation for possible issues and offers you automated solutions to solve them. 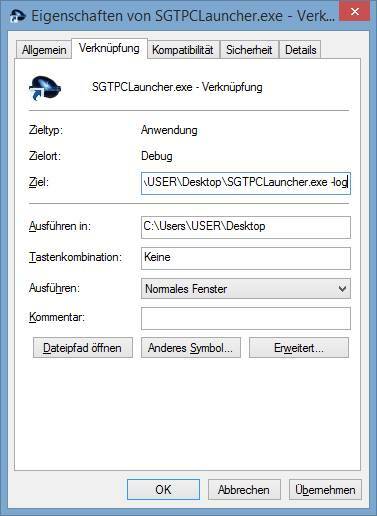 To run the test, open your Launcher (SGTPCLauncher.exe). Click on "Settings", then on "Online Compatibility Check" and finally on "Run Test". If you can't find the button in the settings go back and hit the Update button - it will update your launcher to the latest version. 1. You have changed files at the mod or the original game. In this case you should try to reinstall both game and mod. 2. FOC isn't up to date. Those of you not using the Goldpack or the steam version have to install [url=hhttp://www.stargate-eaw.de/index.php/de/2014-04-23-12-33-8/downloads/file/12-forces-of-corruption-1-01-update]patch 1.01[/url] for Forces of Corruption and Patch 1.05 for Empire at War if haven't selected to install these patches when you installed the mod (they came with our mod installer). All of the game "versions" are compatible online. 3. You are not using a legal copy. Simply buy an original. 4. You are using a different version of the ram fix. Please use the Official RAM Fix , because other can cause incompatibility. By default, this fix should have been installed during the installation of TPC. 5. You are using the Multiplayer "Fix". Due to a recent server change by LucasArts the "fix" is currently the reason for the freeze - without it, it works just fine. To delete the fix, simply open ...\LucasArts\Star Wars Empire at War Forces of Corruption\Data\XML and delete the file "GameConstants.xml". 6. Something went wrong during the installation of either the mod or your original game. In this case you need to uninstall your game first. Then go to the installation directory and delete all files left there manually before you reinstall everything again. A synchronization error often appears if one of the computers is too slow. Even if TPC seems to run fluently on all PCs we still recommend to turn the graphic settings down if the error seems to be persistent. Furthermore you should close all programs that you don't need while playing, such as ICQ or your internet browser. Just like the original game, you can play TPC online or via LAN with up to 9 players. Empire at War is not as a popular any more as it was a few years ago. Use ModDB or this page to arrange a match with other people. If you clicked on "Online" instead of "Lan" take a look at section 6.1. If you're sure that you should be able to see other players in the lobby take a look at section 6.2.